Today’s real estate consumer expects video. 48 hours of video is uploaded every minute on YouTube. In 2012-2016, video views increased from 171 to 213 million online. It is estimated that 75% of global mobile traffic will be video by 2020. In 2017 there has been an increase of 50% in the number listings that have video compared to 2016. Through the use of the EAC Video Marketing solution the team at Elders Merimbula has successfully produced an online stocklist of open homes, available anytime anywhere, meeting the needs to today’s real estate consumers. 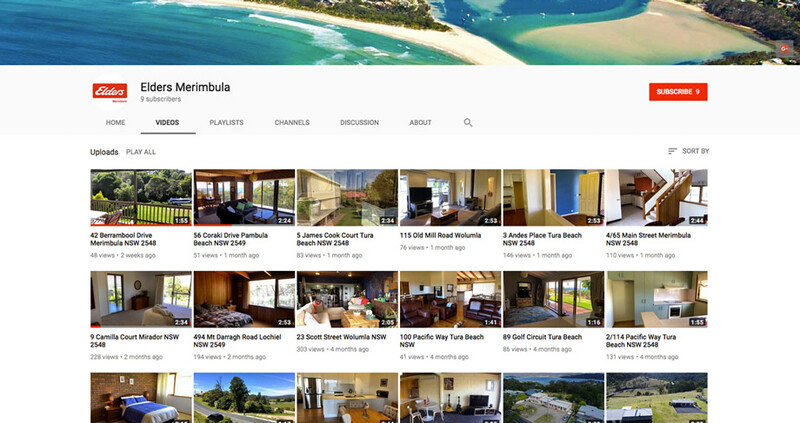 Visit Elders Merimbula’s YouTube channel. View an example video by Elders Merimbula, created with the EAC Video Marketing solution . We congratulate Elders Merimbula as the EAC Video Marketer of April 2018, the winner’s prize is on its way to the office.